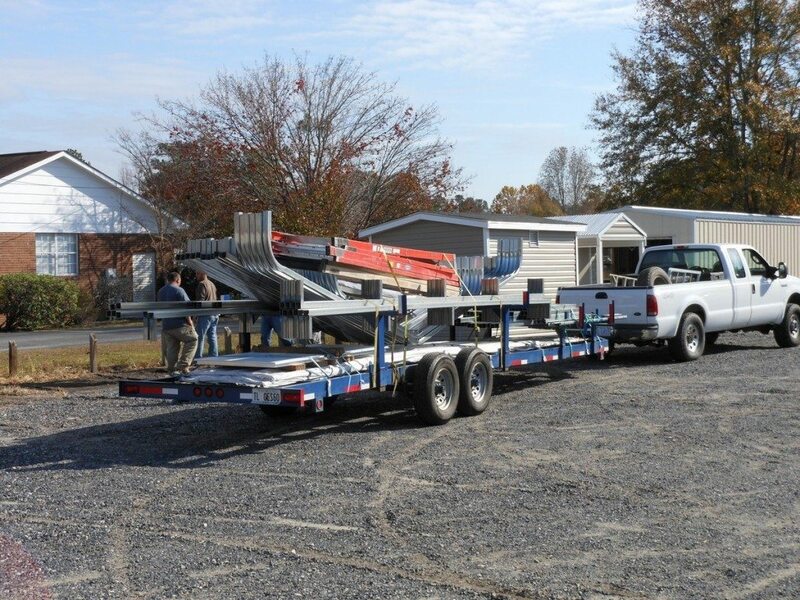 Your custom metal building from Choice Metal will be delivered on a purpose-built trailer by trained installers who will consult with you to ensure that the direction and orientation of the building is correct and location is level. 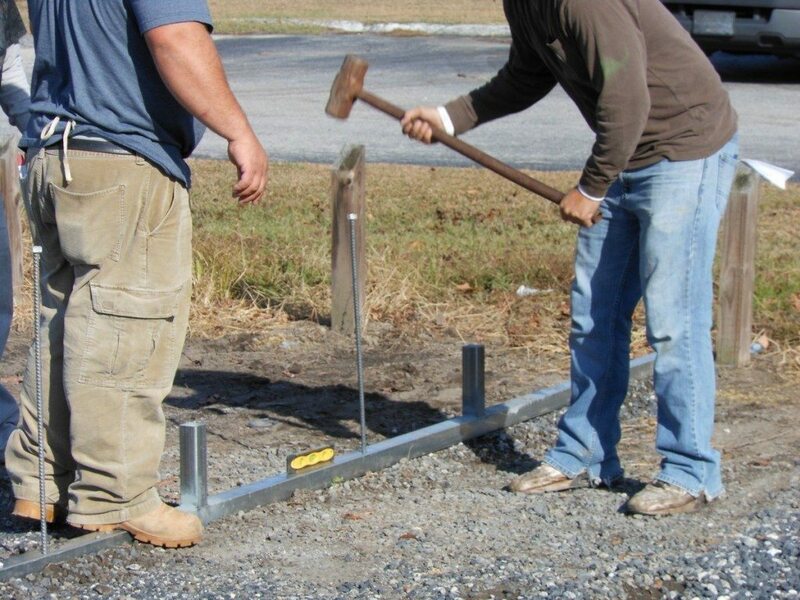 Once the base rails are laid out and leveled, the anchoring begins. 32-inch spikes are installed plus wind augers are available as an upgrade. 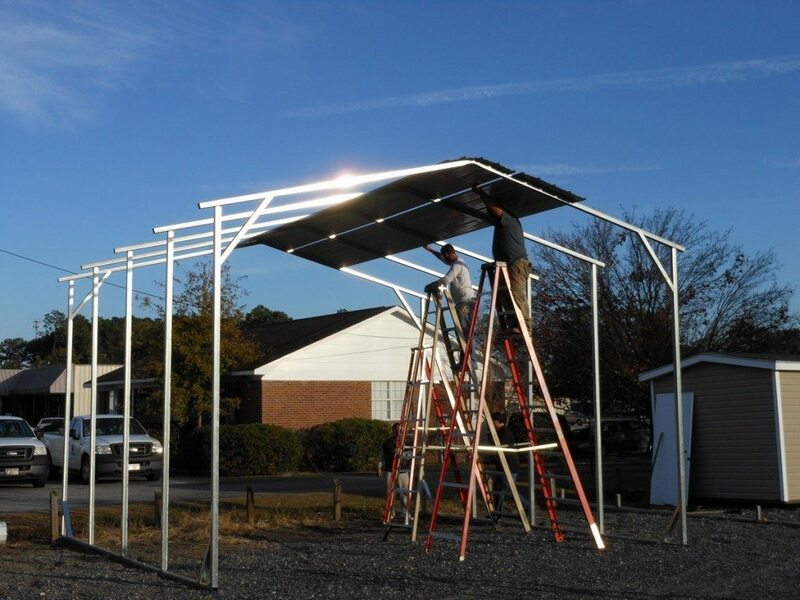 The legs are then attached to the bows and raised to begin building the frame, and the frame is secured to the base rail. 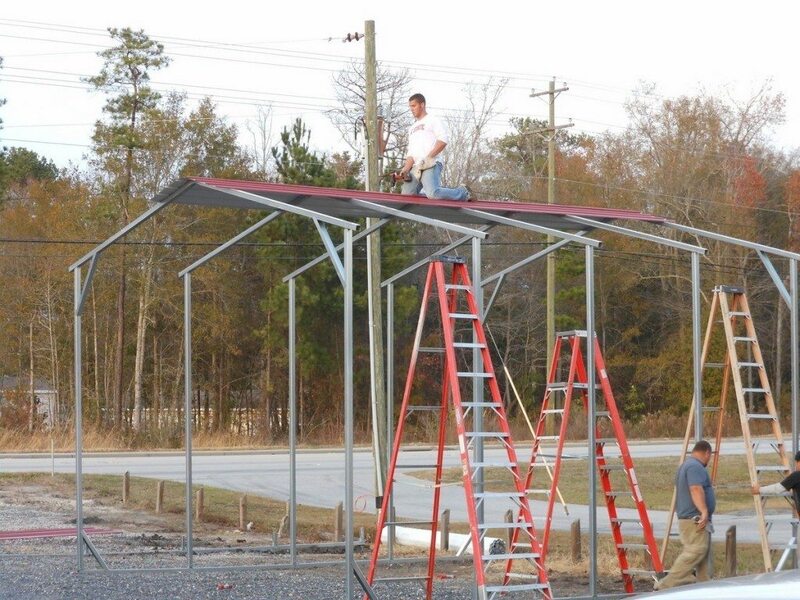 Once the frame is up, the installers will make sure the entire building is square and plumb before attaching the panels. Adding the first roof panel centered is the first and most important step, then the remaining pieces will follow. With only the frame and piece of sheet metal, it can easily hold the weight of a full grown man. Finally the building is complete. 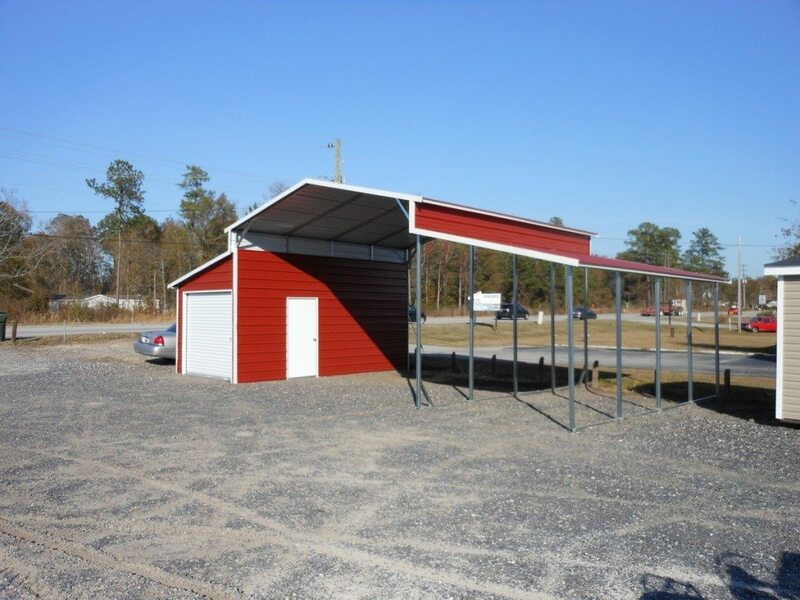 The customization is completely up to you, open, closed, partially enclosed or fully enclosed. The possibilities are endless and very affordable.